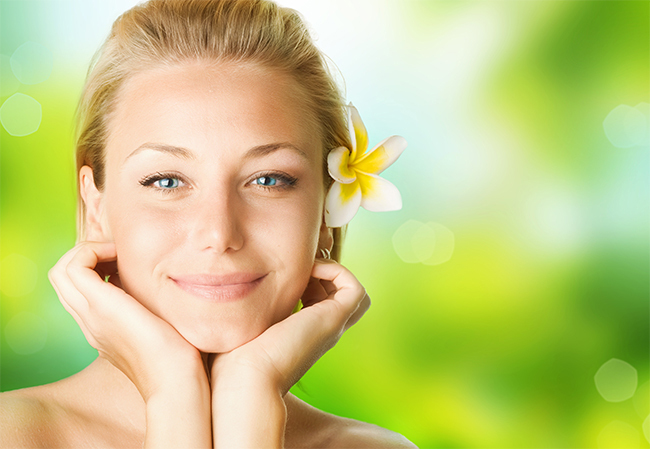 Chemical peels offer a great way for people to keep their skin looking fresh, vibrant, smooth and youthful. Skin imperfections are common and they can add years onto your real age. Constant sun exposure, scars from acne and the aging process all contribute to these flaws. But even though it’s widely known that chemical peels/skin peels offer numerous benefits, many people have misconceptions about chemical peels. That’s why the team at Dermalure has decided to debunk some of the most popular myths about chemical peels so you will know what to really expect when you do a chemical peel. Ready? Here goes! While chemical peels can go far in repairing visible damage on the surface of the skin, they cannot repair the irreversible damage of the sun and other factor associated with aging. A chemical skin peel treatment will provide you with visible results that improve how your skin looks and feels but the treatment will need to be done on a consistent basis in order to receive the best outcome. You can look at it in the same way you view an exercise routine – the more consistent you are in exercising, the better your outcome will be and the same holds true with chemical peels. Of course, how often you do a chemical peel will depend upon the amount of damage your skin has sustained. Check with your dermatologist if you have any questions about how often you should undergo a skin peel or keratolytic therapy/treatment as it’s also called. Just the word “chemical” in a chemical peel stops many people from going ahead with this type of treatment because they believe the chemicals used are harmful to their health. Many of the most common products people use have chemicals in them including sunscreens, pain relievers, toothpastes and shaving creams. Don’t let the word “chemical” stop you from reaping the many benefits of a skin peel because chemical peels are safe when done according to directions. This could not be further from the truth as most skin types can benefit from a peel. For example, a person who has sun damaged skin or aging skin can benefit from doing a chemical peel. This is because peeling treatment helps with cell regeneration to that new skin growth takes place to result in smooth, clear and fresh skin that glows all while taking years off one’s appearance. Post-peel recovery time is dependent upon the type and strength of peel you’ve had but many chemical peels have little to no downtime. People who undergo superficial chemical peeling can expect some mild redness and peeling, both of which can be easily concealed. Medium strength and higher, more aggressive chemical peels can cause more redness as well as crusting and peeling wherein they have more downtime. It can be difficult to seek out help if you have skin that is tough, dry, and full of blackheads or other blemishes; especially when you’re trying to alleviate this issue, but seem to be getting nowhere with your standard skincare regimen. So maybe it’s time for a little more in-depth approach using Keratolytic Therapy. Read below to see some basic information about Keratolytic Therapy treatments and what they can do for you and your skin. So let’s start with the basics, what is Keratolytic Therapy? Keratolytic Therapy is the umbrella term for removing dead skin cells that have been clumped together and are causing blemishes on your beautiful face. Through the use of chemicals (salicylic acid, glycolic acid, or lactic acid), Keratolytic therapy can help to remove these dead skin cells by softening the clumps and causing them to shed from your skin. This leaves a softer, smoother skin that shines outward to reflect that ideal skin you desire. What does Keratolytic Therapy treat? These chemical peel treatments are quite versatile and have a wide range of applications including: blackhead removal, wart removal, assistance with dry skin, etc. As stated earlier, the main purpose of the Keratolytic Therapy is to remove clumps of dead skin cells. This can come in a variety of skin conditions, but all can be treated in similar fashions- through the use of chemical peels and acids that have been approved by the FDA. So which type of Keratolytic Treatment should I use? Much like how no two people are alike, something similar could be said of skincare treatments. First and foremost, you should consult your dermatologist to see what type of peel would be appropriate for your skin. Following that, it is recommended that you start out on lower strength acids. While it is not uncommon for there to be a slight discomfort when applying the chemical peel, it should not be excruciating, and the pain should not persist after treatment. Where can I pick up these peels for my own Keratolytic Treatment? So now that you’ve done some research and are looking into purchasing a chemical peel for Keratolytic treatment, we are happy to assist you here too. Dermalure Skincare Professionals have a wide selection of skincare products and chemical peels available to you and the public. If you have any further questions or concerns about the specific peels we offer and how they can help you, feel free to contact us.